In my Super Green Smoothie recipe I mentioned using wildflower honey because of it’s medicinal properties. I’m sure this is news to some of you, as it was to me when I first read about it in Herbal Antibiotics. 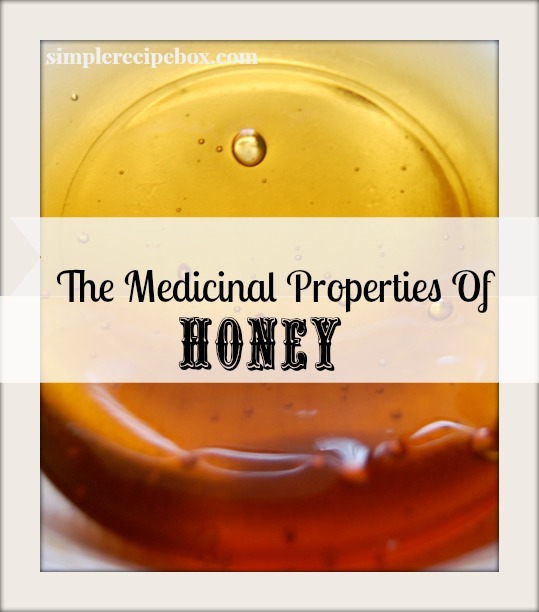 Honey has some amazing medicinal qualities! For some reason natural honey is just lumped into the simple carbohydrate group with sugar. It is so much more than just a sweetener! Raw Honey contains an array of enzymes, esters, organic acids, trace minerals, antibiotic agents… the list goes on and on. If the bee’s are allowed to roam naturally and gather from wild growing flowers, and not just one variety such as alfalfa or clover, they are naturally attracted to medicinal herbs such as elder and echinacea (and many, many other herbs). When they gather the nectar from these medicinal plants, their digestive system actually alters the nectar and infuses it with unique enzymes. Modern Science has not been able to explain how this happens. Honey has also been used to help heal three degree burns (without the need for skin grafts), ulcers, wound infections and impetigo! The kind of honey you buy is really important. Commercial bee growers sometimes supplement the bee’s diet with sugar water which dilutes the healing properties of the honey. Pure wild flower honey is dark, strong flavored and it should slightly sting the back of the throat when undiluted. And buying local honey can help with allergies, so always try to buy local. Other good options are Raw Honey and for a heavy hitter medicinal honey- Manuka Honey. Manuka Honey is pretty pricey but should be a staple in your medicine cabinet. You can apply it to a sting from a scorpion to take away the pain and venom. It’s amazing! If you are sick, you can use a tablespoon or two a day and you’ll get better in no time. Did you know that honey was so important? Have any other uses you’d like to share?